A DAY AT THE BEACH WITH AGUAS AZULES! OPTION 1: PARASAILING & JET SKI RENTAL: One Double Parasailing (about 15 minutes in the air, 2 people at the same time) and 30 minute Jet Ski Rental (1 or 2 people on one jet ski). Also includes use of 2 chairs and an umbrella and boogie boards for 2 hours! Includes transportation from hotels and houses in Manuel Antonio and Quepos. OPTION 2: LUXURY PARASAILING & JET SKI RENTAL: One Double Luxury Parasailing (about 30 minutes in the air, 2 people at the same time) and 30 minute Jet Ski Rental (1 or 2 people on one jet ski). Also includes use of 2 chairs and an umbrella and 2 boogie boards for 2 hours! Includes transportation from hotels and houses in Manuel Antonio and Quepos. OPTION 3: PARASAILING & BANANA BOAT GROUP DEAL: Priced per person, for groups of 5 or more. Double or triple regular parasailing (about 15 minute in the air) and a bouncy fun banana boat ride (about 10 minutes) and use of boogie board for 2 hours. PARASAILING & JET SKI TOUR with SNORKELING! 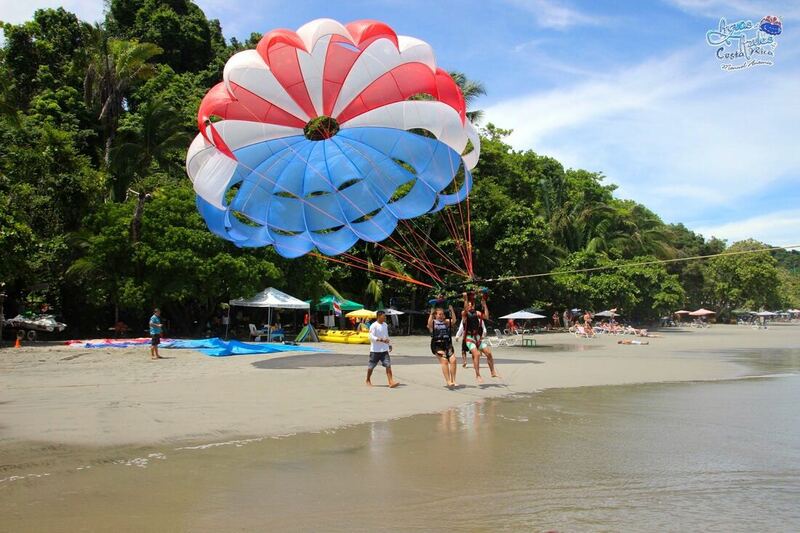 OPTION 1: PARASAILING & JET SKI TOUR: One Double Parasailing with Aguas Azules (about 15 minutes in the air, 2 people at the same time) and 2 hour Jet Ski Tour with Manuel Antonio Jet Ski including time to snorkel during the tour! (2 people on one jet ski). Includes transportation from hotels and houses in Manuel Antonio and Quepos. Regular Price: $300 PACKAGE DEAL PRICE: $250 Note: Add $100 if each person wants a single jet ski for the tour! 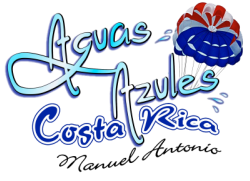 OPTION 2: LUXURY PARASAILING & JET SKI TOUR: One Double Parasailing with Aguas Azules (about 30 minutes in the air, 2 people at the same time) and 2 hour Jet Ski Tour with Manuel Antonio Jet Ski including time to snorkel during the tour! (2 people on one jet ski). Includes transportation from hotels and houses in Manuel Antonio and Quepos. Regular Price: $370 PACKAGE DEAL PRICE: $310 Note: Add $100 if each person wants a single jet ski for the tour! Aguas Azules offers various options for photo packages including drone footage. Please ask about package options and discounts available when booking your tours!